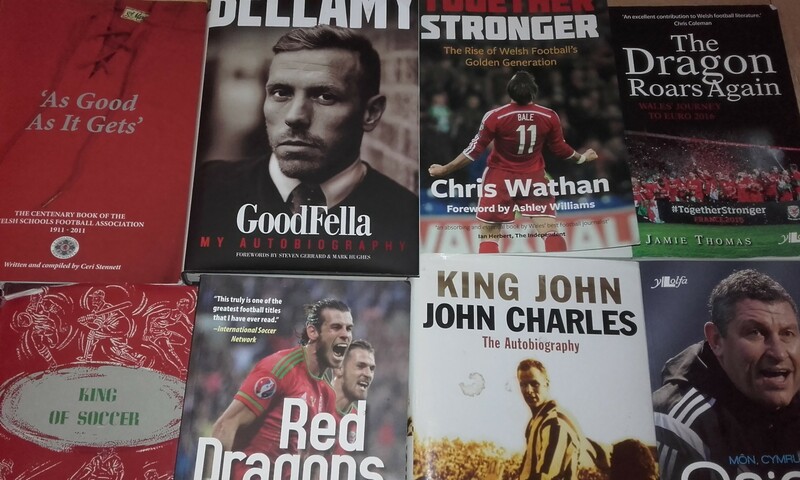 There can be few players who have split Wales fans’ opinion quite as much as James Collins. Tough, towering centre back with a wealth of EPL experience to some; error-prone liability to others. With 50 times capped ‘Ginge’ unattached and linked with several Championship clubs Russell Todd looks at the cases for the prosecution and defence. Having left West Ham United at the end of last season, a season in which he also called time on his international career, Collins is on the cusp of signing for a club and starting his 19th season of professional football. With Swansea City blooding youngsters like Joe Rodon and Connor Roberts in their first team, I pondered whether the ‘Ginger Pele’ would be a worthwhile signing for the Swans. Responses were, predictably, polarising. This blog was actually started in early 2017 and sat on the shelf unfinished; Collins has hardly been front and centre in our recent achievements, or indeed disappointments. 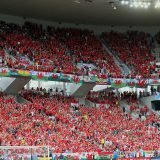 The previous November Ben Davies pulled out of the squad for the home World Cup qualifier against Serbia and social media and online fora speculated about his likely replacement in the starting XI. Though it was ultimately academic because James Collins subsequently pulled out of the squad as well due to a calf strain, a lobby emerged for Paul Dummett ahead of ‘Ginge’, despite Dummett’s apparent lukewarm attitude to representing Wales. When we discussed the options in podcast #43 looking ahead to the Serbia game our consensus was that, in a must-win game, James Collins would be our preferred option, even accounting for the opportunity afforded to Coleman of replacing like for like left-footers, and that Dummett would be familiar with the threat of his Newcastle teammate Aleksander Mitrovic would pose. We took some anti-Collins flak then too. For much of the latter part of Coleman’s reign his favoured three centre backs were clearly Ashley Williams flanked by Ben Davies and James Chester. Given his EPL experience Collins might have been considered next cab off the rank. Moves to a flat back four would see Collins slip futher down the pecking order. 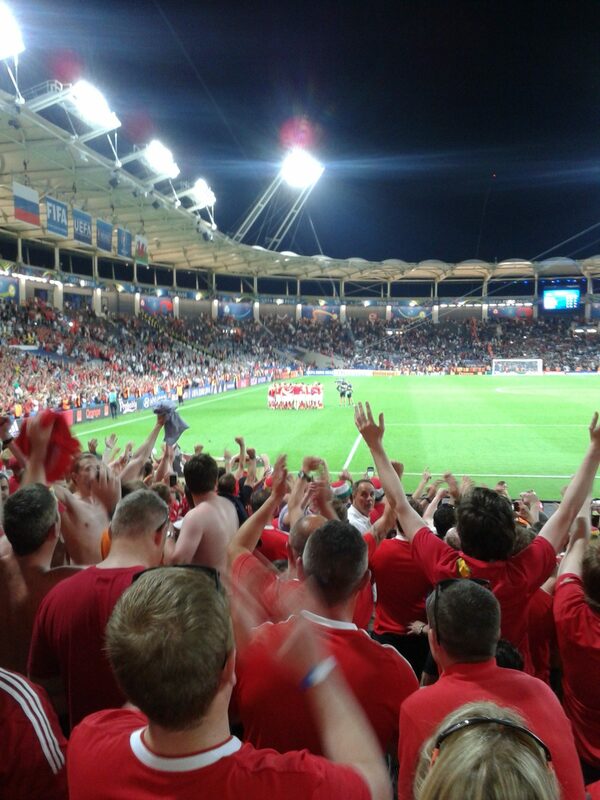 Against Bosnia in Zenica, Chris Gunter stepped in from right wing back to supplement Williams and Davies, as he impressively did earlier in the campaign at home to Belgium. Collins was left on the bench. That decision proved flawed when Bosnia’s increasingly direct play led to two goals that Collins’ aerial prowess might have combated. 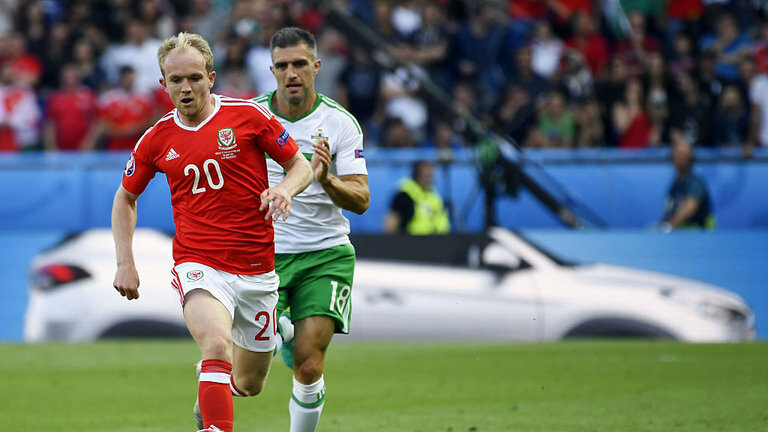 But it confirmed the belief that in Coleman’s favoured defensive formation there was little room for Collins unless emergency dictates, as it did in the Euro 2016 semi-final when ‘Calamity’ James replaced the suspended Davies; a fact backed up by the rate at which Collins earned his caps. Collins took seven years to win his first 40 caps up to 2011, even allowing for nine months out in 2008 with a cruciate ligament injury. The next ten took five years; the same five years of Coleman’s reign. Few players polarise fan opinion as much as ‘Calamity’ James. One lobby thinks he makes too many mistakes and is a “red card threat” (in the words of Rich, podcast #43), not good enough on the ball, and has not demonstrated enough commitment in the past. The other sees a fearless defender who has carved out a decent EPL career playing consistently under managers such as Martin O’Neill, Slaven Bilic and Gérard Houllier, despite having started out as a striker and played in every division of the English league. So let’s take a closer look at the case for the prosecution and the defence in relation to the most frequently leveled charges against Collins. Prosecution – This is the criticism leveled at Collins more than any other. Its origins lie in that high profile slip against Northern Ireland back in 2004. 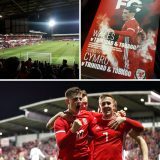 In a high octane game his slip let in David Healey to put Norn Iron two up and though Wales clawed the deficit back to rescue a draw the result put Wales on the back foot immediately in a group that was beginning to be distracted by Mark Hughes’s dalliance with the Blackburn job. 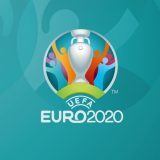 Two games later, at home to Poland, he lost his man for the Poles’ first, played their second goalscorer onside, and the campaign was over. 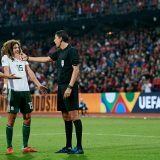 Yet another campaign was over before it had begun when Collins’ lunge on Guilliume Gillet in only the 26th minute of the opening game of the quest for Brazil 2014. It was reckless and unnecessary. Compounding the dismissal was the fact Belgium’s two goals came from set pieces at which one would expect Collins to be the key defender. Defence – Providing punditry insight for Sky’s coverage of that NI game was Barry Horne who called it “a tragic slip for the youngster”. It’s often forgotten that this was Collins’s first competitive start in only his fourth cap and he had turned 21 only a fortnight earlier. 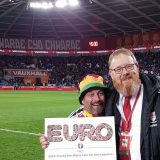 Mistakes happen at that age and given how bad the Millennium Stadium pitch used to cut up in the early 2000s it is frankly a surprise that Welsh fans do not rue more goals like Healey’s. On the bench that day was Andy Melville and Robert Page so Mark Hughes had obviously seen enough in Collins to pick him ahead of his elder rivals. Chis Coleman made a costly mistake against Italy at Anfield, while Ashley Williams is currently receiving flak for his mistakes. Yet Collins seems to be hit with the error-prone stick more than most. Prosecution – His late cameo at home to Moldova last September was his 50th appearance. 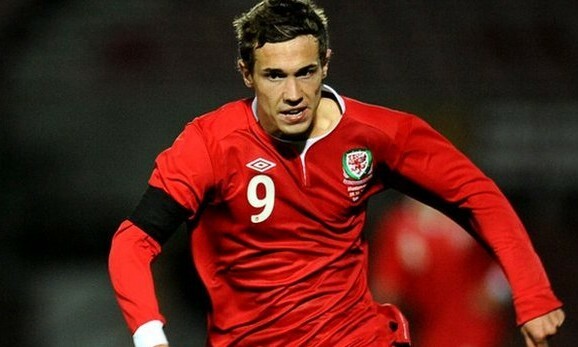 It came in Wales’s 111th international since his debut in May 2004 in Norway. On the one hand, no-one in the set-up at that time had been involved as long and he was the last player to play for Wales having been capped by Mark Hughes . But to miss on average every other game over 13 years cannot be put entirely down to injuries. That said, he has had his injury problems, most notably his cruciate ligament injury, but on several occasions has been fit for league action the following weekend. 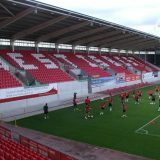 Contrary to the improved attendance and availability of most players after Gary Speed was appointed, Collins’ withdrawals increased. He captained Wales in Speed’s first game, played in the next, but then failed to play for Speed again, who was required to state that Collins still had an international future as rumours suggested otherwise. 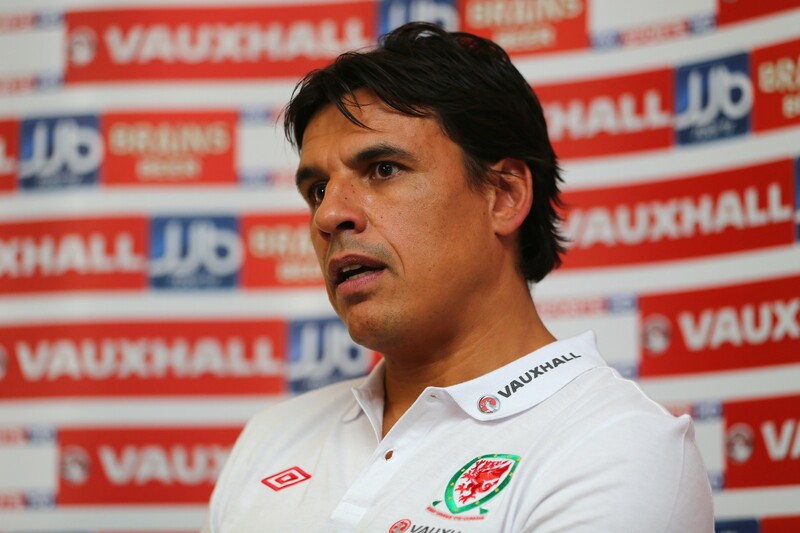 His messy, public falling out with Chris Coleman in 2013, by which time Ashley Williams was vice captain (and then captain) and first choice defender, suggested his international career would stall caps-wise, like Danny Gabbidon’s, in the 40s. 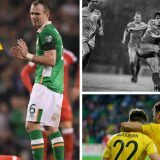 Defence – In his 50 caps Collins has been on the winning side only 15 times and, notwisthstanding the mis-communication with Coleman in 2013, could easily have retired from international duty as several of his peers did. He was ever present during World Cup 2010 qualifying so was clearly the defensive lynchpin for John Toshack. His first game back after his cruciate injury was not for his club, but in Mönchengladbach against Germany. 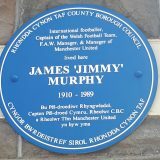 His performance was one of the finest by a Welsh player in the twenty-first century; presumably he could have opted to fine-tune his rehabilitation behind closed doors in Chigwell. 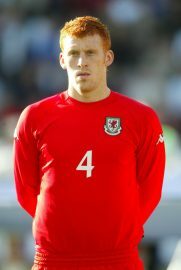 He is also the only player to have played for Wales at every level from under 14, including at u21 level in the dark days of Jimmy Shoulder. 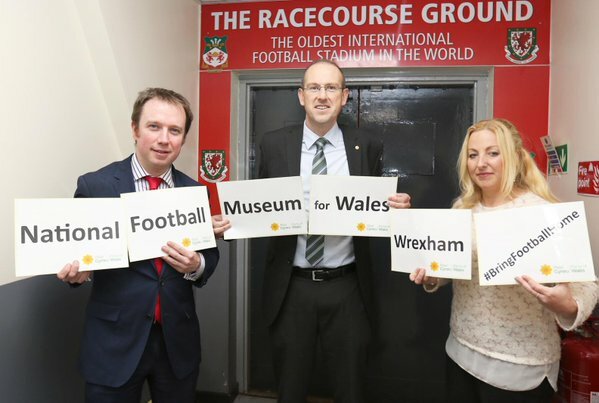 In this respect Collins really is a throwback to the Wales of old. 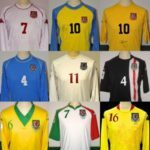 The one where youth was not given its head until players were already in their early 20s; players learned the habit of losing; possession football was a foreign concept; and there was less a pathway to the senior Wales team, and more a skid pan. 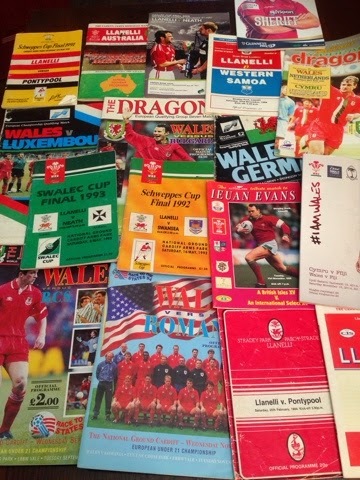 Collins didn’t stick with Wales through thick and thin since a teenager; rather through thin and thinner. Prosecution – According to whoscored.com in his last two seasons Collins averaged just under 80% pass completion for West Ham, on a par with the club’s other central defenders. However, this percentage is based on an average of only 25 passes a game, inferior to his defensive colleagues and far inferior to the likes of Virgil van Dijk, Jan Vertonghen or Ashley Williams who all attempt at least twice as many per game. He also attempts fewer longer passes per game (though presumably he played more of these when Sam Allardyce was in the Upton Park dugout). His lack of passing ability is further exposed in the patient approach that Wales has evolved in recent years. The building up from the back and lateral passing from flank to flank requires a flexibility and mobility that simply isn’t Ginge’s game. In this way I am reminded of Robert Earnshw’s increasing redundancy in the late 2000s as football increasingly withdrew a second striker to supplement midfield or play in the hole. For Wales, Earnshaw probably remained the most potent striker in the box but a ‘sniffer’ like him offered little else by way of link up play and on the occasions Toshack played him up front on his own his threat was nullified completely. Defence – No-one will claim Collins is a latter day Franz Beckenbauer and his passing is a weakness. However, Collins’ strength is in the air and here he fared well overall in the EPL: in 2016/17 (he only played 15 times last season) he was 44th among all EPL players for aerial duels won per game (avg. 2.4); and 14th in blocks. Yet he was also 48th for interceptions suggesting his reading and anticipation of the of the game remained keen, with perhaps the onus being not on Collins in his mid 30s to adapt his game, but should have been on Slaven Bilic and David Moyes to find a suitable player to complement him. 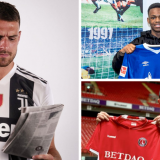 One thinks of his more successful centre back partnerships and he is accompanied by a defender who is quicker and more comfortable in possession: Anton Ferdinand, James Tomkins and, of course, Danny Gabbidon. I cannot help but think Collins would walk into either of the Irish sides who played at Euro 2016 and for whom directness remains ingrained their DNA. If Collins was irish, chances are he’d have a similar number of caps to the likes of Aaron Hughes, Gareth McAuley or John O’Shea. Collins is a player who has polarised opinion so much for so long that this is unlikely to have swayed the opinion of anyone. Like so many things in life the truth lies somewhere in the middle. Collins was never as bad a player as many make out; and despite his longevity in the EPL for much of Toshack’s reign and all of Speed’s and Coleman’s reigns, his injury and availability record militated against building a defensive unit around him. It nonetheless seems odd that players such as Darcy Blake, Danny Collins, Steve Evans, Craig Morgan and Sam Ricketts won caps at centre back ahead of Collins. I am minded to think that a key figure in this analysis is not Collins, but Danny Gabbidon. There are remarkable similarities between the pair’s careers: both played in other positions in their youth (full back for Gabbidon; striker for Collins); similar career trajectories from Cardiff City, via Wales caps, to West Ham, following a joint transfer in a 2005 fire-sale; injury-prone; questionable commitment issues; and a poor caps-to-game ratio for Wales. I suspect Collins’ international career was affected as much by Gabbidon’s injury problems as his own. All great teams, and units and partnerships therein, comprise a whole greater than the sum of its parts; without his ideal foil alongside him, Collins was not as influential or as able. It remains a shame that in their cumulative 130 caps Ginge and Ash played together so rarely; Ashley Williams in his prime has always struck me as Collins’ ideal Gabbidon-style foil. Timing and luck also play a part. The Mark Hughes era was short-termist in the extreme and where youth was given a chance it was belatedly, almost reluctantly, done. That he was, more or less, the final young player promoted from the u21s to the senior team under Hughes meant that for the bulk of Toshack’s transitional reign Collins felt like an elder player ahead of time. 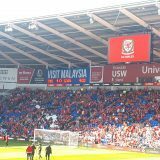 How many successful Wales careers were stymied because of the circumstances post-Hughes that players found themselves in? The 2003-04 season that ended with Collins making his international debut, started with him featuring in a defence that conceded 8 (eight!) in Italy for the u21s. Had Collins been part of a progressive, coherent Wales pathway philosophy, and not the chaos of the Hughes-Shoulder era, then maybe it might have been so different. His “wonderful gesture” of securing Gareth Bale’s shirt for the 6 year old child he hit in the face with a wayward strike during the warm up of the Moldova match seems as fitting of him as him failing to escape the ‘Calamity’ monicker even on the proud occasion of his 50th cap. The manner in which he left West Ham earlier this year is also telling with many among the Hammers faithful extremely disapointed to see him leave at all, let alone having been notified via email and without some sort of recognition of the sterling service he had provided. James Collins = Class that should have stayed & given his testimonial. So all the best Ginge. 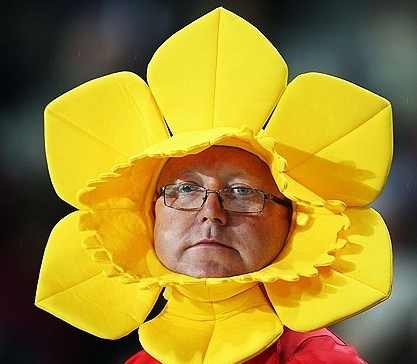 Perhaps you’re not a Wales legend, but you’re definitely a throwback. Even though you were on the periphery of it, you seemed to enjoy the last couple of years. 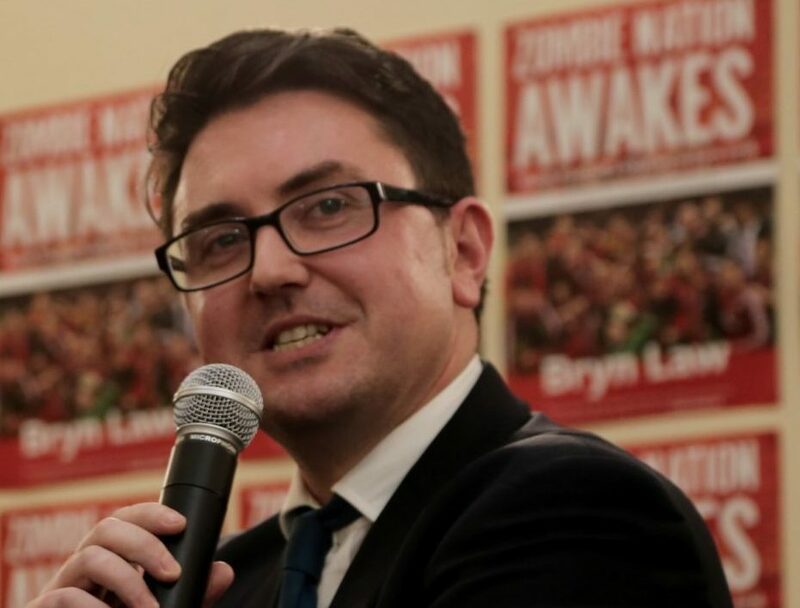 Whether people are happy to see the back of you, or whether they feel you still have something to offer, I suspect there’s a certainly a consensus around you deserving to finally experience Wales success after so many very lean years at all levels. And even if we don’t see the Ginger Pele in south Wales as a Swan, what chance he makes a Cewnty homecoming?